Belakangan ini perfect hack mulai ada updatenya dibuat oleh sobat Cloud Stife dari GzP khusus untuk Ayodance. Perfect kali ini tidak berfungsi pada normal room melainkan Battle party, Union Battle party and Story mode. JHanya tekan F9 hack Perfeck ini langsung jalan. Jangan lupa untuk yang menggunakan Windows Vista/Windows 7 klik kanan run As Admin. Dibilangnya hack ini tidak berfungsi untuk Windows 7 32Bit, tapi tidak ada salahnya untuk mencoba. Google Earth is a virtual globe program that lets you surf through our entire planet. You can zoom and search for your town and much more things such as school, churches etc! Google Earth Pro (Gold) is the upgraded version, it has a lot of more features such as movie making or advanced printing and much more… Worth 400 $ Google Earth Pro combines the power of Google Search with satellite imagery, maps, terrain and 3D buildings to put the world’s geographic information at your fingertips. Google Earth for Pilots – This is part of a new series exploring Google Earth uses for different professions/ hobbies. 1. Enter Flight Simulator mode – Select “Tools->Enter Flight Simulator”. Optional: fly to a city which has 3D buildings (tip: San Francisco, Baltimore, Atlanta, Raleigh, Charlotte – these all have lots of 3D buildings). NOTE: – there is a bug in GE 4.3 if you select the “Current View” option in the “Enter Flight Simulator” window, you may end up at an higher altitude than you expect upon starting the flight (much higher). Just fly back down to the city level. 3. Turn on 3D Buildings – Turn these on in the Layers pane in the lower left after the sidebar opens. 5. Resume flight – Now you can resume flying the flight simulator by hitting the SPACE key and the 3D buildings should stay on for your current flight. Expand your business, explore untapped markets and understand your target demographic using Google Earth Pro Datasets. View parcel, demographic, and daily traffic count data for the US overlaid on top of the same, familiar imagery of Google Earth. Research properties with ease using the Google Earth Pro Parcel Data layer. Zoom into an area and outlines of parcel boundaries will appear for millions of locations in the United States. Click on an Icon for a parcel boundary to see information such as last price sold, zoning and square feet. Additional parcel reports can be obtained from Dataquick. Easy-to-read thematic maps shows seven demographic data fields provided by Nielsen Claritas, including current year and a five-year forecast information in balloons for each category. Make informed decisions about your next retail location using median age, income, education level and more for your state, county, census tract or block group. Hundreds of thousands of points showing historical traffic counts in easy to understand mapped icons with historical traffic counts. Make sense of large data sets by reading them mapped at a location rather than on a textual report. Through this layer, you can visualize over 30 years of traffic count data, courtesy of Market Planning Solutions Inc. Lock Folder XP is a new security tool that lets you lock your files, folders and driveswith your personal password. Now nobody but you can access your most sensitive information. Locking folders, files and drives also effectively protects you from malicious programs, such as viruses, worms and trojans. Here is how Lock Folder XP works – all you have to do is to drag file or folder you want to lock to Lock Folder XP window, and the rest is done automatically. Now your data is protected, hidden and can not be accessed without entering your personal password. It is critical to have effective protection from unauthorized access, since over 80% of reported security breaches come from within the organization, not hackers! Locking files, folders and drives is the best way to guarantee that nobody accidentally or intentionally gets access to your financial, health, private or confidential information. And since locking your files, folders or drives makes them invisible, they can not bedeleted, damaged or harmed in any other ways. Even if a virus gets introduced to your system, your locked folders will not be detected, infected or harmed. Here is the important part – Lock Folder XP uses the encryption standards approved by the US Government. This and others innovative and reliable technologies provide the safest way to store your information well protected against hacker attacks, malicious software and dishonest employees. But don’t think that Lock Folder XP can only be used in the corporate environment – this application is perfect for home as well. If you have a laptop and travel frequently, we advise you get Lock Folder XP. After all, if your notebook gets lost or stolen, you don’t want strangers to see your financial data, credit card or social security numbers. Prevent information loss due to the unauthorized use of USB Removable Drives (Flash sticks, I-Pods, mp3, mp4), CD-ROM, CD-RWs, and Floppy. Effective: USB LOCK AP is the tool of choice if you need to prevent information loss due to the unauthorized use of USB storage removable drives, CD-RWs, and Floppy. Without blocking other USB devices like printers, mouse, cameras.....etc. It is suitable for either Home or business use (In cases when the user is allowed to manage his or her own security) Its anti-hack security works as a Windows Service at Local System level allowing the program to effectively run even on computers with no privileges. Easy to use: USB LOCK AP allows the user to authorize or restrict, at his or her convenience, the use of USB storage removable drives, All CD ROM/CD-RW drives, and Floppy Disk drives. From its very easy to use, password protected interface. Internet Download Manager has a built-in download logic accelerator that includes intelligent dynamic file segmentation and safe multi-layer technology to boot, which helps speed up downloading. Integrated analysis of errors and the possibility dokachki, will continue the download after an interruption due to lost connections, network problems, computer shutdown, or fluctuations in the supply of electricity. Simple graphical user interface makes IDM user-friendly and user-friendly. Internet Download Manager has a multilingual interface, ample opportunities for setting up, loading skins, supports proxy servers, protocols, FTP, HTTP, HTTPS, work behind a firewall, forwarding files, working with files, cookie, download authorization, the contents of files ZIP, categories, processes the contents of MP3-audio and MPEG-video and supports a large number of server platforms. IDM integrates seamlessly into browsers such as Microsoft Internet Explorer, Netscape, AOL, MSN Explorer, Opera, and Mozilla to automatically handle options. You can also drag and drop files or use Internet Download Manager from command line. Internet Download Manager can dial your modem at the set time, download the files you want, then hang up or even shut down your computer. Unlike other download accelerators and managers, where the files are segmented before downloading, Internet Download Manager segments downloaded files dynamically during download process. Moreover, Internet Download Manager reuses available connections without going through additional connect and login stages to achieve better speed performance. When IDM is running, it displays an icon with the pyramid on the taskbar. Menu IDM may be caused by a right mouse click on the icon. 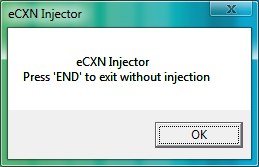 You can close the IDM, selecting "Exit" from the menu. Language: English, Albanian, Arabic, Azerbaijan, Bosnian, Bulgarian, Chinese, Croatian, Czech, Danish, Dutch, Farsi, French, German, Greek, Hebrew, Hungarian, Italian, Japanese, Korean, Lithuanian, Macedonian, Norwegian, Polish, Portuguese, Romanian, Russian, Serbian, Slovak, Slovenian, Spanish, Thai, Turkish, and Uzbek languages. Nullsoft Winamp Pro is a fast, flexible, high-fidelity media player for Windows. Winamp supports playback of many audio (MP3, OGG, AAC, WAV, MOD, XM, S3M, IT, MIDI, etc) and video types (AVI, ASF, MPEG, NSV), custom appearances called skins (supporting both classic Winamp 1.x/2.x skins and Winamp 3 freeform skins), audio visualization and audio effect plug-ins (including two industry dominating visualization plug-ins), an advanced media library, Internet radio and TV support, CD ripping, and CD burning. • Rip/Encode music into aacPlus, AAC, WMA, or MP3! • Burn CDs up to 48x! Wondershare PDF Password Remover is a small and easy-to-use PDF cracker to help you decrypt PDF files and remove restrictions on printing, editing and copying. It is easy for you to reuse PDF files after decryption. • Support PDF1.0-1.7 format, including 128-bit RC4 decryption. • Shortcut decryption mode: Right-click on a PDF file and choose Decrypt with Wondershare PDF Password Remover, you can decrypt the encrypted PDF file without launching the program. • PDF Password Remover is a standalone program which needs no Adobe Reader or Acrobat installed in advance. • PDF Password Remover has a user-friendly and intuitive interface, so you can easily decrypt PDF files. So you can easily decrypt PDF files even without any instructions. Sniffer and record all MSN chats, AOL (AIM) chat, Yahoo chat, and ICQ chat on your Local network automatically and secretly! It’s the one for ALL! Do you worry about whether and what your employees chat on instant messengers during the office hours? Are you curious about what your spouse chats on instant messenger? Do you want to track your kid’s MSN chat, Yahoo chat, AOL (AIM) chat, and ICQ chat? If so, Messenger Detect is your solution. Messenger Detect can sniffer and record all MSN chats, Yahoo chat, AOL (AIM) chat, and ICQ chat on your Local network. It works secretly without need to install any client software on the target computers. It’s safe to use because accessing and setting are all protected by your password. The chat logs are saved as the same format as you see in the messengers and classified by datetime. You can search and edit them directly in the Messenger Detect, and exportthen to a RTF file. In addition, Messenger Detect provides you 15 color themes, and reading mode as well. Try Messenger Detect now, and you will be convinced! • Monitor and record all MSN (Live) chat, AOL (AIM) chat, Yahoo chat, and ICQ chat on your local network automatically. • Run as NT service, automatically starts when Windows starts. • Support logging MSN contact’s online status. • No need to install any client software on the target computers. • Work secretly undetected by the target computers. • Easy-to-use interface makes detecting and recording simple. • Recoding options – you can select which contact you want to record the chat from, and set if you want to log the online status. • Record almost all contents of chats including Instant messages with color and font, emotion icons etc. • Chats are automatically saved as the same format as you see in the Messengers. • Search in the chat logs easily and efficiently. • Edit log directly in Messenger detect. • Set your favorite color. 15 color themes provided! • Export the rich text messages to a RTF file easily. • Use speech engine to read chat messages for you. • Date time stamp is added on every recorded message. AVG Internet Security gives you maximum protection with real-time scanning, automatic updates, low-impact background scanning for online threats, and instant quarantining or removal of infected files ensures maximum protection. Every interaction between your computer and the Internet is analyzed to ensure nothing can get onto your system without your knowledge. * Search results and any other web links you click on. * For HOME use only! * Folder Marker Home can modify the 'Mark Folder' menu. You can have your own menu with your own icons, specially made for your personal needs. It is VERY convenient. * Folder Marker Home has two additional options for folder icon changes: "Make customized folder distributable" (portable) and "Apply selected icon to all subfolders"
* Folder Marker Home can change a folder's color. For this purpose you have 36 icons of normal, dark and light colors. * Folder Marker Home can mark folders by priority (high, normal, low), by degree of work complete (done, half-done, planned), by work status (approved, rejected, pending) and by the type of information contained in a folder (work files, important files, temp files, private files). * Folder Marker Home changes folder icons within a popup menu of the folders. To mark a folder, you don't even need to run the program! Moreover, the popup menu contains convenient category submenus. * Folder Marker Home contains a User's Icons tab where you can add an unlimited quantity of your favorite icons and mark folders with them. It's easy! * Folder Marker Home can work with several folders at once and supports 32-bits icons. With ColorImpact you can create beautiful color schemes at the click of a button. Experience the fun! No more guesswork when you pick colors for your next design project. With a single click you can create color combinations with impact. Just select the main color, and the visual color wheel instantly displays a selection of perfectly matching colors. You can then try different color harmonies, add shades and tints and fine tune your color scheme to perfection. Anti-Spyware Super AntiSpyware is the most thorough scanner on the market. Our Multi-Dimensional Scanning and Process Interrogation Technology will detect spyware other products miss. Easily remove pests such as WinFixer, SpyAxe, SpyFalcon, and thousands more. SuperAntiSpyware will detect and remove thousands of Spyware, Adware, Malware, Trojans, KeyLoggers, Dialers, Hi-Jackers, and Worms. C using this program you can copy your CD drives with good quality, extract audio tracks from Audio CD and save them as audio files on your hard drive in various audio formats like RAW, OGG, MP3 and WAV, etc. You can also use CD Copy Master to copy audio tracks from CD on your hard disk; rip audio tracks from a CD and save them to your hard drive in various audio formats, like MP3, WMA, OGG and other, and create custom audio CD from MP3, WAV, OGG and WMA files; and erase rewritable discs. CD Copy Master is able to work with audio CDs as well as with data discs. • Copy both audio CD and data CD with best quality. • Rip audio tracks from a personal CD and save them to your hard drive in various digital audio formats, like RAW, OGG, MP3 and WAV music files. • Extract digital audio tracks from an audio CD into sound files on your hard disk. • Write files to CD-R media. • Erase the old data from CD-RW. • Name the files which you want to rip, using information received from the CDDB source. • Change and add the information obtained from the audio sources such as name of artist, album and tracks. • Visually judge the progress of the ripping process. Internet Download Manager mengeluarkan Update Terbarunya, nggak usah basa basi langsung saja saya kasih linknya, selamat download. Mozilla Firefox - faster, more secure, easier to use and sporting a new look, this latest Firefox release sets a new standard for web browser innovation. Mozilla Firefox project (formerly Firebird, which was formerly Phoenix) is a redesign of Mozilla's browser component, written using the XUL user interface language and designed to be cross-platform. It is small, fast and easy to use, and offers many advantages over other web browsers, such as the tabbed browsing and the ability to block pop-up windows. Addons: AdBlock Plus, NoScript, Video Download Helper, FEBE, FlagFox, FlashGot, Forecastfox, Globefish, TabMix, ImgLike Opera. Themes: AmbientFox, Blue Fox, Gradient iCool. magic Photo Editor - Easy-to-use tool for editing your photos. You have a digital photo and a beautiful landscape picture, and you want to impose digital photo onto the landscape picture to softly blend them together and the blended picture should be natural and attractive. This program is what you need, with the help of it you can do it easily and quickly. You can easily change the size, location photos, add cliparts, Cartoon Pictures, framing or text just by clicking and dragging them. 1) 20 different masks of your choice. 2) Add 20 kinds of clipart to your photo. 3) 20 cartoon images that do your photos more interesting. 5) Ability to add text comments to your photo. Adobe Photoshop CS4 software provides improved access to its unrivaled power through a more intuitive user experience, greater editing freedom, and significant productivity enhancements. Photoshop CS4, the current eleventh iteration of the program. Photoshop CS4 features additions such as the ability to paint directly on 3D models, wrap 2D images around 3D shapes, convert gradient maps to 3D objects, add depth to layers and text, get print-quality output with the new ray-tracing rendering engine, and enjoy exporting to supported common 3D formats; the new Adjustment and Mask Panels; Content-aware scaling (previously known as seam carving); Fluid Canvas Rotation and File display options . On 30 April, Adobe released Photoshop CS3 Extended, which includes all the same features of Adobe Photoshop CS3 with the addition of capabilities for scientific imaging, 3D, and high end film and video users. 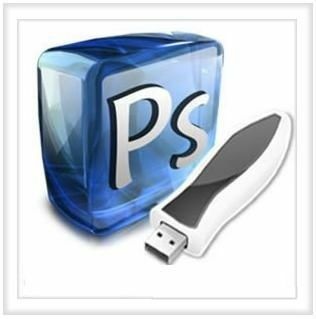 The successor to Photoshop CS3, Photoshop CS4, is the first 64-bit Photoshop on consumer computers.